Okay! So we have to start off by talking about a major misconception that people generally have about the services of a locksmith. Now, you might have heard people say that a locksmith can only provide help when we get locked out of our own houses or when we are in need of a key cutting service. Well, that is so not the case. This is just a very small part of the services which are rendered by a locksmith. Don’t worry, even if you did not have an idea before then this piece of writing will help you out by laying down some of the major services rendered by a locksmith. Let’s start with the ever famous service of key cutting. A locksmith can work with any type of lock in the world. They can fix all problems related to keys within seconds. The process is done using hands, machines or whatever suits the locksmith best. Don’t worry even if the keys are restricted, a mobile locksmith from iLock security will know what to do. People often neglect these major points of the house which can serve as a way in for an unwanted person. So you better be careful and get the doors and windows of your house secured with proper locks as soon as possible. All you need to do is give a quick call to a locksmith. You have to realize the importance of getting yourself such a safe which has been secured and specified. This is something which a locksmith is specially trained in. 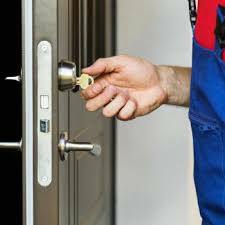 Whether you want to get your safe repaired, opened, secured or installed, a locksmith will render his services in all such departments. Now, if you are a business or government professional you might be aware of the recent trend of automatic electronic access control system. This system helps ensure that all your locks, rooms etc, are well secured digitally, leaving no room for a break in. The access control system can be installed by a locksmith in no time. https://ilocksecurity.com.au/wp-content/uploads/2018/10/ilocksecurity_rgb2-300x159.jpg 0 0 jason@ilocksecurity.com.au https://ilocksecurity.com.au/wp-content/uploads/2018/10/ilocksecurity_rgb2-300x159.jpg jason@ilocksecurity.com.au2018-12-05 02:14:442018-11-19 02:17:16What can locksmiths do to help you? Whenever we are locked out of our homes, cars or offices, the first idea that comes to our mind is to call a locksmith. But think for a second, can you call just about any locksmith that comes your way or should you be careful before hiring someone. Just tag along because here, well will try and remove all your queries. While searching for a locksmith to fix all your problems related to locks, safes or basically security related things, you need to run a check before hiring someone. However, if in a case you are stuck in a lockout situation in the middle of the night, then you might be needing help right away. You could either search online or call a friend for help. While on the other hand, if you want to be careful before hiring a locksmith and prefer doing so through a trusted company, then it is better advised to ask some questions before calling the person for the job. First and foremost, you need to ask the company to provide you with the full name of the business. If they desist from doing so, then you need to drop the call right away. Search about the respective company on the internet. It is better if you search along with words like reviews or complaint. While on the call with the respective company’s operator, ask them about the company’s full address and compare it with the one on the net. Whereas, in case there is no mention of an address on the site, then ask them the reason behind not mentioning it. Try and ask them about an estimated amount which may be demanded after the work, so that there is no fuss at the end with regard to the charges. The locksmith should be coming with insurance so that any loss in case of damage can be covered. Last but certainly not the least; your hired locksmith should have a proper license and an identity proof when he arrives at your door. https://ilocksecurity.com.au/wp-content/uploads/2018/10/ilocksecurity_rgb2-300x159.jpg 0 0 jason@ilocksecurity.com.au https://ilocksecurity.com.au/wp-content/uploads/2018/10/ilocksecurity_rgb2-300x159.jpg jason@ilocksecurity.com.au2018-11-30 02:12:072018-11-19 02:13:50How to find a locksmith? If you are a business or government professional then you must be aware of the fact the services of a commercial locksmith are required every now and then. In the course of a business, there come along a lot of emergencies with regard to locks, safes or any other security system. That is where commercial locksmiths step in. These locksmiths specialize in rendering to services to the commercial sector of the society and meeting the needs of various organizations. Their areas of expertise include repairing locks, changing locks, key cutting, spare keys, digital security systems, installation of cameras and much more. You will be surprised to know that the charges of a commercial locksmith are higher than that of a normal locksmith. Well! This is because the training and skills which are provided to them are quite advanced than others. But this is due to the need of the commercial sector. Want to know the qualities, just tag along. The commercial locksmith you have hired should be such, who can be trusted with the vital aspects of your business. He should be reliable in terms of arriving every time the need arises since it is not safe to neglect security-related issues. It is better advised to hire such a commercial locksmith who is trained and accredited Locksmith in his field. There is nothing bad with wanting to choose the best amongst the lot, so don’t feel hesitated while doing so. The one you hire must be very well trained in the work he claims to do. While calling for a commercial locksmith, do a little research on your part as well. You can do this by asking around about his past dealings, the satisfaction level of his/her present customers. Whether or not they are happy with his performance, and what quality of services does he render. Last but certainly not least; your hired locksmith should have at least some experience. The more his experience the better it is for you. We all know that experience tends to make us even better at what we do. So go for it people! https://ilocksecurity.com.au/wp-content/uploads/2018/10/ilocksecurity_rgb2-300x159.jpg 0 0 jason@ilocksecurity.com.au https://ilocksecurity.com.au/wp-content/uploads/2018/10/ilocksecurity_rgb2-300x159.jpg jason@ilocksecurity.com.au2018-11-25 02:05:552018-11-19 02:10:51What qualities should you look for in a commercial locksmith? It is a very normal thing to feel protective towards your family and home. That is something we all make sure and this motive can be achieved with the help of a locksmith. iLock security specializes in providing the residents across Frankston and the Mornington Peninsula with a secure home to live in. Before getting into such details, you need to understand and realize the importance of proper home security system. You would never want to face a break in a case whether you are inside or out of your house. Apart from the financial loss, the mental trauma one has t go through under such circumstances, is really bad. 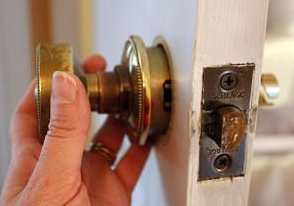 In order to get rid of these possible cases of burglaries, experts suggest taking help from a professional locksmith and getting our homes secured. 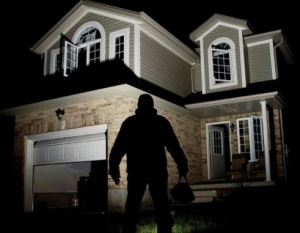 The installation of proper alarm systems plays a major role in this scenario, this help to deter burglars. Now if you get an alarm system installed in your house then you don’t need to worry about an unwanted person breaking in. This is because research has proven that burglars avoid breaking into such houses which have a proper alarm system installed in them. In fact, research has come up with another figure telling us that 31 percent of burglars turn back as soon as they come across any sort of security alarm. Therefore, the choice is now in your hands. Wow! This question gets asked a lot that why does one need to call a locksmith. People, the answer is very clear and it will get even clearer once you read this piece of writing. Starting off, didn’t you ever get stuck in an unpleasant lockout situation, where either you left your keys in the car or inside your home? So! In order to get you out of that situation, a locksmith steps in and renders his services. I think that this one is very obvious. It is always better to hire a professional because he will have all the tools which might be of any help. You will not have to go through the drama of collecting all the tools and then getting yourself unlocked as well. Think about a scenario where you have gotten locked out of your house in the middle of the night. Now in this situation, it is normal for anyone to think that, who is going to help me in this hour of the night. Well! This is exactly where a locksmith steps in. Locksmiths render their services on a 24-hour basis, so you don’t have to worry about breaking in or sleeping on your porch. If you too are looking for such door locks which offer high security, then all you need to do is pick up your phone and give your locksmith a call. Instead of dealing with confusion at the hardware store, you can invest the same amount of money or less and take help from a locksmith. 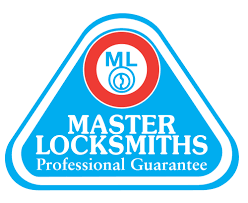 Locksmiths have all the latest locks in their possession, so you will not have any trouble finding one. And above all! It will give you the peace of mind which is much needed nowadays. https://ilocksecurity.com.au/wp-content/uploads/2018/10/ilocksecurity_rgb2-300x159.jpg 0 0 jason@ilocksecurity.com.au https://ilocksecurity.com.au/wp-content/uploads/2018/10/ilocksecurity_rgb2-300x159.jpg jason@ilocksecurity.com.au2018-11-15 03:27:592018-11-10 03:29:29Why call a locksmith? Is there any denying of the fact that we depend largely on our door locks for the security and protection of our families. Locks do not just give you the peace of mind but ultimate protection as well. But! What if your locks are not up to the mark anymore? There is absolutely nothing to worry about even if you notice that your locks are wearing out, all you need to do is give a quick call to a locksmith. We will begin with the most obvious sign, which is the wearing and tearing of the locks. Locks have to deal with metal keys being shoved into them every day, they are exposed to heat as well as cold, and so finally they tend to wear out. But dot worry! The locksmith will come and replace your old locks with brand new ones. Another major reason why you will need to call a locksmith is to solve the issue of too many key copies. You might have had your friend, cousin or your kid’s friend come over at your place, and you had to provide them with key copies. It is fine for the time being, but later you need to change the clocks in order to avoid any sort of mishap. A locksmith will easily change all locks and give new keys to you. This is without a doubt the most unpleasant situation to be in. If you have been extremely unlucky to face a break-in case, then for you it is much needed to take help from a locksmith. It is crucial for you to change all your locks at this stage, sticking to the old ones will not be a safe option at all! So! Hurry up and get your locks replaced with new ones. Good luck! How to avoid an unprofessional locksmith? Did you ever have to face a situation where you needed help from a locksmith? Well even if you didn’t, there is a very high chance that you might. It is a totally relatable fact that finding a good locksmith is not something that comes easy. But don’t worry and just tag along; in this piece, a small guideline will be shared so that you can decide for yourself. Now first, you need to understand the fact that all locks do not need to be replaced. The reason why this is stated is that most people do make this mistake, so please don’t do that. And oh! The best thing is that a professional locksmith is talented enough to unlock any door that comes his way without having to replace the lock, so why spend that extra money? If your hired locksmith insists on replacing the lock, then it is a clear sign that he is nowhere near being a professional. Secondly, before letting anyone in your house, it will be a smart move if you do some research on your part. Never let an untrustworthy person in. The best way to achieve this would be to make sure that your locksmith comes with an id proof and a proper uniform. If the locksmith comes at your door without meeting the above-stated conditions, then you need to shut that door! Be very aware of such locksmiths who have a habit of increasing their demand once they reach your place. It is true! There are many locksmiths who will tell you one price on the phone and a completely different one once they reach your location. The smartest way to avoid such a locksmith is to ask him to return. Although it does mean that you will have to continue your search for another locksmith, it is totally worth it! https://ilocksecurity.com.au/wp-content/uploads/2018/10/ilocksecurity_rgb2-300x159.jpg 0 0 jason@ilocksecurity.com.au https://ilocksecurity.com.au/wp-content/uploads/2018/10/ilocksecurity_rgb2-300x159.jpg jason@ilocksecurity.com.au2018-11-10 03:21:322018-11-10 03:21:32How to avoid an unprofessional locksmith?